Today, you have more choices than ever when shopping for new window treatments. We have compiled a list of our most frequently asked questions and answers to assist you in the buying process. Why Choose Classic Interiors for Your Window Treatment Requirements? All of our interior designers are certified window treatment professionals. What Brand of Window Coverings Do We Carry? 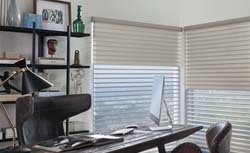 We carry the full line of Hunter Douglas blinds, shades, sheers, and shutters, as well as custom draperies, shades, valances and cornices made in our on-site workroom. We will do all the measuring for you. Can You Install the Window Coverings? Yes, we provide professional installation by experienced installers. We will dress your window treatments, including steaming if necessary. Plus we will show you how to properly operate and care for your new treatments. 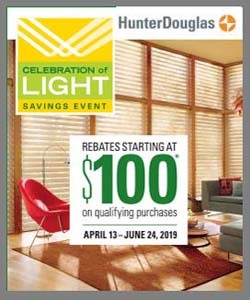 Typically, you should allow 3 weeks for Hunter Douglas blinds, shades, sheers and shutters. Allow 8 weeks for custom fabric treatments. Do You Carry Energy-Efficient Window Coverings? Yes, we have many window fashions to chose from. Can You Customize the Window Treatments? 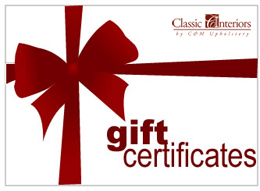 Yes, we can customize any treatment to fit your style and budget. How Should I Care for My Window Coverings? Although every style is different and fabric care varies, generally it is best to just vacuum your window treatment on a regular schedule. Have Questions on Reupholstery Services? Find your Reupholstery questions answered here. 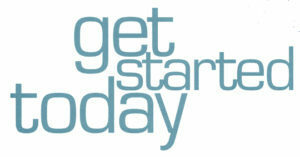 It is easy to get started. Meet with one of our design consultants to discuss your window treatment needs and wants and to learn about all the options available. Contact Us today to get started or for more information on our custom window treatment selection. We provide in-home appointments in Saratoga, Albany, Schenectady,Rensselaer, and Warren Counties, including Clifton Park, Mechanicville, Halfmoon, Saratoga Springs, Loudonville, Latham, Lake George, and Bolton Landing, NY, and surrounding areas.